MGT embrace Every Little Dream! 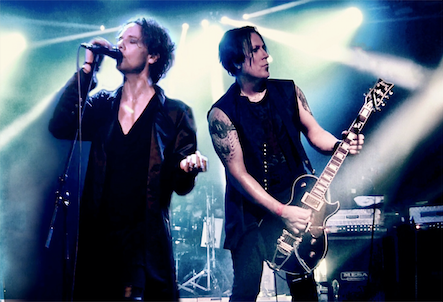 Goth rockers MGT have revealed new single Every Little Dream! The track is taken from highly anticipated new album Gemini Nyte, set for release through Cleopatra Records on February 23, 2018! The band, comprising of former The Mission/Peter Murphy guitarist Mark Gemini Thwaite and The Awakening vocalist Ashton Nyte, have provided thirteen new songs, and the album also features Killing Joke‘s Paul Ferguson on drums and guest appearances from Fear Factory‘s Burton C Bell and founding The Cure members Lol Tolhurst and Pearl Thompson!